It’s one of 2018’s most eagerly awaited games, and now Fallout fans will get a chance to play the upcoming Fallout 76 as the beta kicks off on Xbox One this week. There are some caveats, though, given that Bethesda is essentially opening up the game to millions of players, and that this will be its first major live test before launch on November 14. So, its understandable that in a note to players posted on Twitter earlier this week, the developer has warned that those taking part in the beta should expect to encounter “bugs and issues”. “We all know with the scale of our games, and the systems we let you use, that unforeseen bugs and issues always come up. Given what we’re doing with 76, we know we’re opening everyone up to all new spectacular issues none of us have encountered. Some we’re aware of, such as areas where performance needs to improve with lots of players. Others, we surely don’t. We need your help finding them, and advice on what’s important to fix. We’ll address all of it, now and after launch”, said Bethesda in its note. That final line is slightly worrying, though, as it suggests that the game is currently in a rough state and that the guys at Bethesda still have plenty of patching to do after the beta and before launch, and afterwards. Actually, in its note Bethesda does admit some could be left wondering “what, exactly, is this?”, what kind of experience should they expect from Fallout 76. And I can tell you now that this offers a quite different experience from the earlier Fallout games, being an online-only, multiplayer game with survival and co-op elements. Story elements, though, are minimal, and are told via items such as holotapes and notes found across the world, which admittedly is vastly larger than that of the earlier games, being four times bigger than 2015’s Fallout. 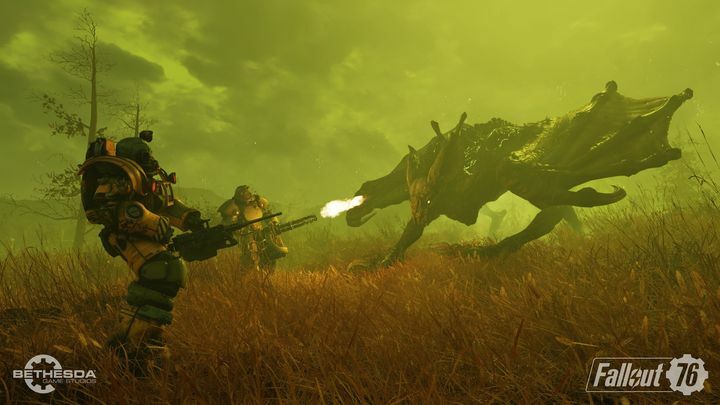 But since no scripted, non-player characters exist to talk to in the world, Bethesda is hoping other human players will fill in the blanks and add some depth to the game, although you can guess almost every human loitering around Fallout 76’s post-apocalyptic world will surely be acting out of character. Also, while most people would expect the now live beta test to be playable continuously during the day, that’s not the case. Actually, Fallout 76’s beta is only playable for a set number of hours during each day. For instance, the beta, which is now live for Xbox One players, could be played between 4 PM and 8 PM (US Pacific Time) on October 23 and between 12 AM and 4 AM (British Summer Time) on October 24 (today) which might not suit everyone (future play times are yet to be announced by Bethesda). But still, Fallout 76 sure is a bold experiment for Bethesda, a company which until now has focused almost exclusively on story-driven, single player RPGs. Whether Fallout 76 will succeed or not remains a mystery then, but despite all the naysayers it’s clear this still has the potential to be one of the year’s top games when all is said and done, no doubt.